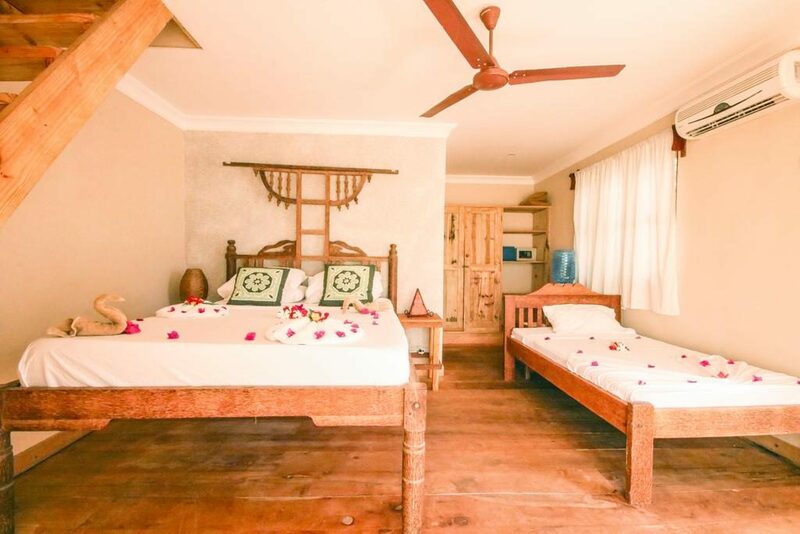 All of triple rooms at Coral Rock Zanzibar can be configured as either having a queen/king size bed with an additional single bed or with three single beds. All these rooms have sea-views, private terrace areas, air-conditioning, ceiling fans, personal wall safes, and en-suite bathrooms with European toilets and showers (no bath-tubs). These rooms are serviced by a generator which ensures all these facilities are available in the event of power failure. Water pressure is maintained by high pressure water pumps. Generators provides up to 9 hours power in the event of power failure and may require up to two hours power off in the event of long outages. All rooms are within 10 meters of the high tide water line. Beds are either local hard-wood or concrete construction with wood trim. All rooms professionally fumigated 4 times a year and sprayed for insects daily or on demand. Rooms are fully serviced daily and laundry service (wash and line dry only) is available. 3 security guards patrol the grounds daily and CCTV systems are installed in most public access areas such as the bar and restaurant. Satellite TV is available in the bar area. Rooms between the restaurant and swimming pool receive WiFi connectivity as they are close to the router which is located in the bar area. 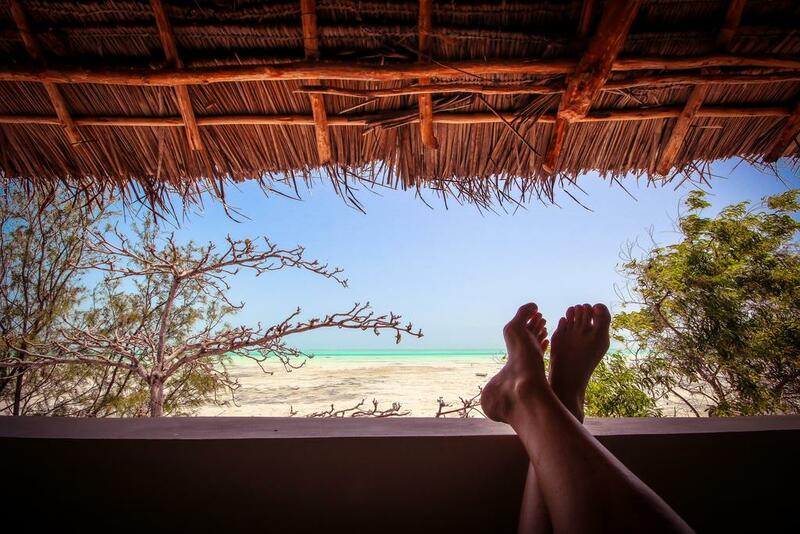 All guests have free access to non-motorized water-sports equipment such as wind-surfers, kayaks and surf-skis. Breakfast is always included in the room rate unless otherwise specified. 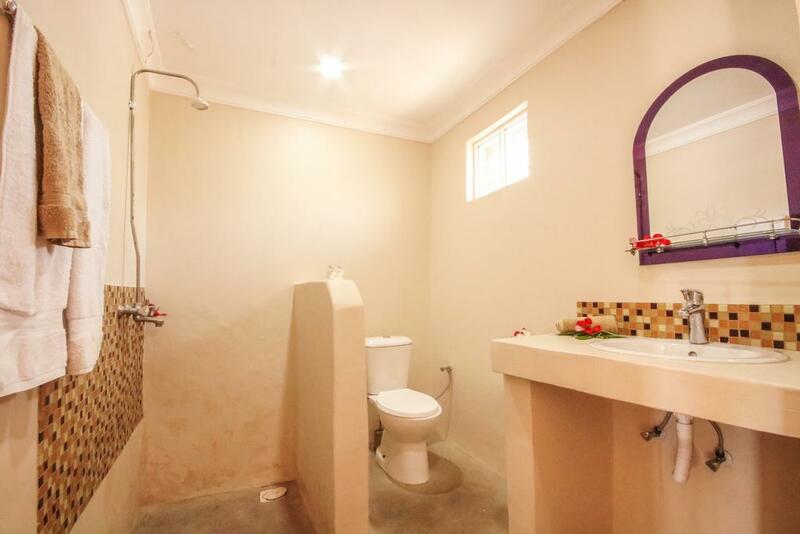 f our rooms come with sea-views, terraces, air-conditioning, ceiling fans and en-suite bathrooms with European toilets. 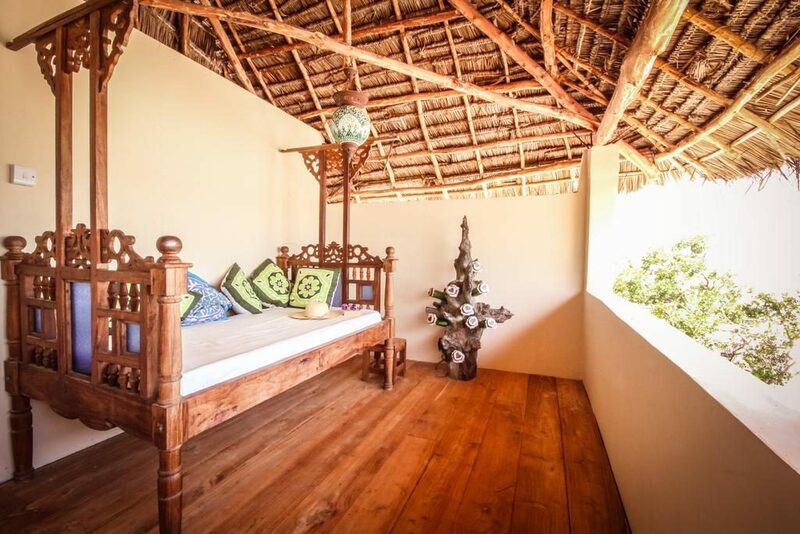 This triple room features a sea view, air conditioning and patio.